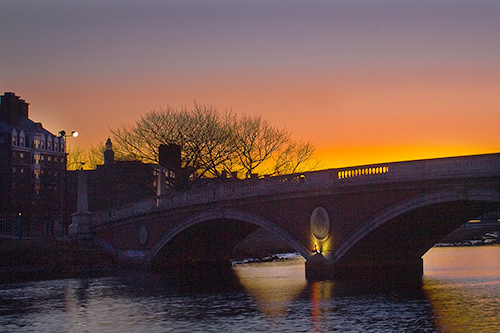 This entry was posted in Boston, Cambridge, city, Photography, Sunset, Travel and tagged Boston, Bridge, Cambridge, city, Photography, Rebel XT, Sunset, Travel on February 23, 2008 by vovazinger. Great photo. The color and arches and the layout are nice.